Asia Yachting joins the growing list of Prestige dealers representing the brand in the strategic Asia Pacific region. "We are delighted to welcome Asia Yachting into our Prestige family,â€ says Paul Blanc, Sales Director for Prestige Asia Pacific. â€œOver the years they have developed a successful operation that focuses on innovative marketing and professional services that exceed customer expectations. Asia Yachting will be the driving force behind the further success of the Prestige brand in the region." Â In 1989, the Prestige 41 was born out of a collaboration between the French shipyard and Italian designer Vittorio Garroni which is still flourishing 28 years later. The same talented team lead by CEO Jean-Paul Chapeleau and Director Jean-FranÃ§ois de PrÃ©morel continue to produce award-winning yachts, and the recent launch of the Prestige 460, Prestige 630 and Prestige 680S complement a range of 13 models that range from 40 to 75 feet. The Prestige identity is a blend of sea-going performance combined with interiors that are spacious, dynamic and timeless in style. Prestige yachts are built at the worldâ€™s largest boat production site in Les Herbiers, France. The shipyard covers 40 hectares, and benefits from the engineering expertise and economies of scale from being part of the BÃ©nÃ©teau Group. 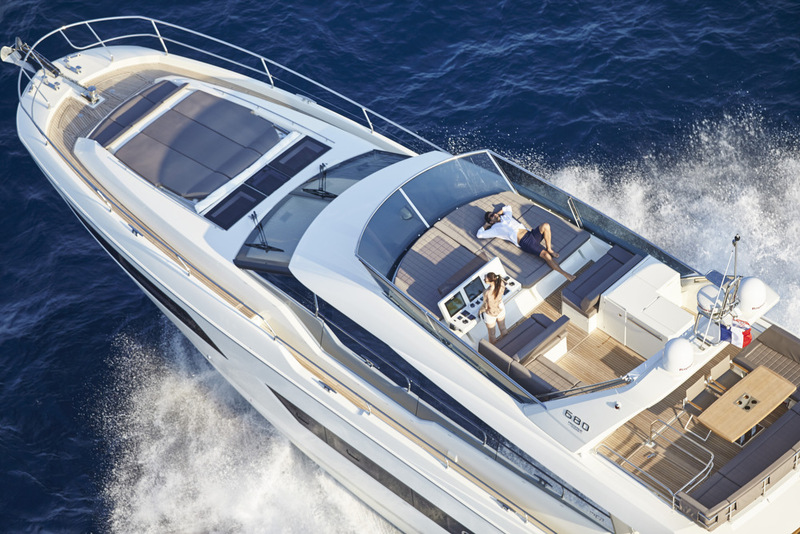 Launched in 1989 by the Jeanneau shipyard, Prestige has built more than 3,000 powerboats ranging from 35 to 75 feet. These yachts are now cruising in every part of the globe and are testament to an uncompromising build quality. The Prestige brand of elegant and sophisticated motor yachts has been a role model to the boating industry. Its vision is to create a complete line of motor yachts combining exceptional comfort and seaworthiness with the very latest in contemporary design. Founded in 2007, Asia Yachting is an exclusive private yacht dealership and brokerage based in Hong Kong with presence throughout Asia.Â Services cover new boat ownership, brokerage, and boat management.Â Asia Yachting represents the world-class boating brands of Monte Carlo Yachts, Monterey, Nautique, and Scarab.